Switching and Fleeting | Harbor Management Services | Brennan Marine Inc.
We can help maximize your efficiency! When Brennan Marine is working with your barges, we will provide real-time information on where they are located and when you can expect them. Our switching and fleeting operations use state-of-the-art technology to maximize your efficiency and reduce wait times. All Brennan Marine vessels are U.S. Coast Guard inspected and we are proud members of the American Waterway Operators Responsible Carrier Program (AWO-RCP). Whether we are operating between several terminals and docks, or signatory to one operation, we will provide safe, professional services that are well coordinated and transparent. With new regulatory requirements on the horizon, we have been preparing ourselves for the changes. Our fleet of vessels are some of the newest on the Upper Mississippi River, and are ready to meet USCG Subchapter M requirements. In addition to our vessels, we have knowledgeable crews and licensed pilots that are familiar with the areas in which they operate. You can count on us to provide a safe and efficient turnkey service that will perform like an extension of your own company, rather than a separate entity. 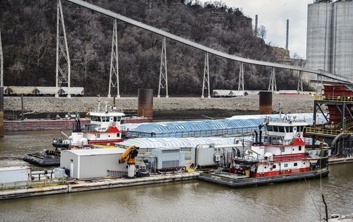 Beyond world-class service, Brennan Marine is able to provide a higher level of safety, environmental awareness, and logistical coordination than any other fleeting operation on the inland river system. From our highly effective Safety Based Observation Program, to our staff of over 12 full-time marine safety individuals, we will develop and implement very effective harbor-specific safety plans. In addition to real-time coordination, detailed daily reports will include all the information you need to monitor our safety, daily activities, and accomplishments. Teaming with Brennan for your switching and fleeting operations will ensure that you are getting the most value for your money. 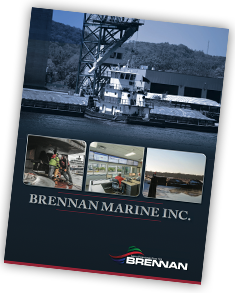 Brennan Marine, Inc. is a leading provider of high-quality, efficient inland waterway and barge transportation services. For more information on our switching and fleeting services, download our brochure. Interested in learning more about our switching and fleeting services? Fill out the form below!